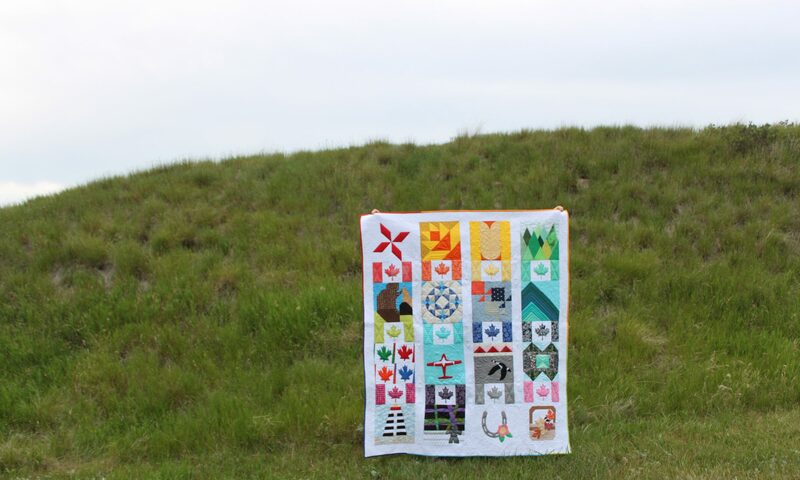 In the Meadow Quilt-As-You-Go Crib Quilt PDF Pattern Release! This pattern has been waiting for it’s turn in the sun for far too long so today is it’s day! I currently have a discount code for my Etsy shop for April Fool’s Day which I will extend into tomorrow. Use code “nojoke2016” for 25% off all patterns in my Etsy shop. This is a tutorial style quilt pattern teaching a quilt as you go technique that is also sash as you go. The PDF file is 17 pages long with many photos to show technique. Fabric requirements are given at the beginning of the pattern. This pattern assumes basic quilt making knowledge and knowledge of how to bind a quilt. This technique requires quite a bit of hand sewing so it is a good project to take along when you cannot be with your machine. It does use machine sewing and quilting as well. This project is great for using up batting scraps (need to be 10 inch square scraps after cutting) and orphaned layer cake squares along with scrap strips of various sizes. I even used up left over bobbins when quilting. We had a lot of fun on our photo shoot (almost a year ago!) The horses were very interested in the quilt flapping on the fence of their paddock. A cloudy day in Alberta Canada. It was so windy too I had to clip my quilt to the fence or it would have been shredded by the barbed wire. What is this interesting flapping thing here? Next PostNext Cute Fruit Wool Felt Pincushion Pattern Release!